Dounikos gained his first win in more than a year as he gave trainer Gordon Elliott back-to-back victories in the BoyleSports Grand National Trial Handicap Chase at Punchestown. After claiming the race 12 months ago with Folsom Blue, the County Meath handler repeated the trick as the eight-year-old secured his first success since landing a Grade Two at Limerick on Boxing Day 2017. Settled just off the pace for much of the extended three-and-a-half-mile prize, the 12-1 shot moved into contention when joining long time leader Wishmoor and stablemate General Principle to make it a line of three at the last. 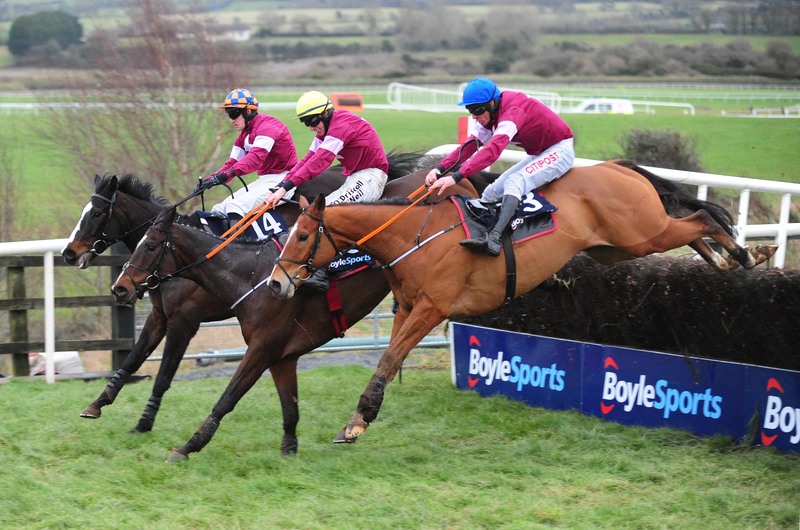 Meeting the obstacle on a good stride, Dounikos quickened away up the run in before prevailing by four and a half lengths from Wishmoor, with last year’s Irish Grand National winner General Principle a further a half-length adrift in third to make it a clean sweep for owners Gigginstown House Stud. Elliott said: “He went well in the Paddy Power at Christmas for a long time, but he was never happy in the Thyestes Chase and ended up falling at the second last. “For a big horse, he probably likes a bit of good ground. He’ll be an English or Irish National horse. “He has a high rating and wasn’t a bad novice. “The weights are out this week for the Grand National and I’ll have over 20 entered.